Somewhere inside Scribd HQ is a whiteboard which says "Go big or go home". Not content with launching the first global Netflix for books, Scribd expanded its monthly subscription ebook service by adding audiobooks in November 2014 and then expanded again today with the addition of 10,000 digital comics. Scribd launched what is arguably the first* Netflix for comics on Tuesday. They've added more than 10,000 comics and graphic novels from a wide variety of publishers, including IDW/Top Shelf, Zenescope, Marvel, Archie, Boom! Studios, Dynamite, and Valiant. Readers can now pay a flat $9 a month for access to all of the ebooks, audiobooks, and comic books they can consume from a catalog of over 1,000,000 titles. And besides just adding the titles, Scribd also put thought into how you would want to navigate. Readers can traverse the new digital comics section in a variety of ways, including by character, series, or curated collection. 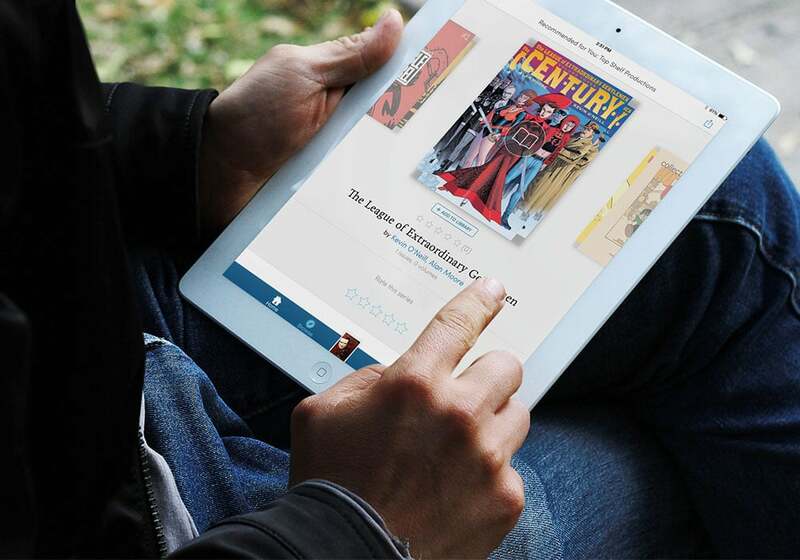 Scribd isn't the first to offer a subscription digital comics service. There is of course Marvel Unlimited, which is limited to Marvel titles, but there's also Comicsfix, which launched last September. This service costs $10 a month. It doesn't have titles from Marvel or DC, but it does carry comics and graphic novels from many independents, including Valiant, Dynamite, Alterna, and more. But with a million titles spanning several formats and three of the five major US trade publishers, Scribd is arguably the largest service. And thanks to the $22 million in capital raised in late December, it's also the best funded. If it doesn’t off any comics from marvel or DC, shouldn’t your graphics be from some comics they do carry? It’s the other service which lacks them. I’d love to see Image sign up to a service like this, but even without Image, the current list of signed up publishers makes it sound very appealing. Does Scribd have a minimum sign up period?